SKU: C23471T. 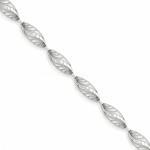 Category: Collections, Silver Stars, Bracelets, Cuffs/Bangles. 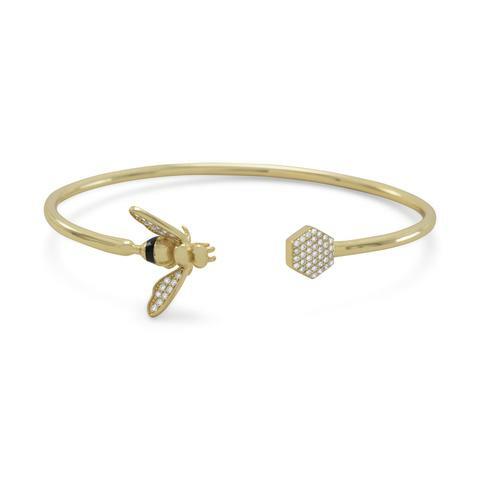 14 karat gold plated sterling silver cuff bracelet with honey bee and honeycomb ends. The CZ honeycomb is 8mm. The bee is 12mm x 19.5mm and its’ wings are embellished with Signity CZs. 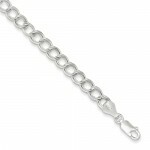 The hollow tube flex cuff bracelet is 2.5mm.